Around our accommodations, there are various interesting excursion destination which you can reach by car, by bike or by train in no time. The train Harzer Schmalspurbahn is an old train leaving from the foot of the Harz mountains and going up to the top of the Broken, the highest point of the Harz mountains. Another way to get to the top is hiking, for which our house is a perfect starting point. The Harz mountains are perfect for many kinds of winter sports. You can borrow skiing equipment as well as sleighs and other gear to enjoy the snow. If you always wanted to be in a cowboy city, Pullman City II in Hasselfelde, near our accommodations, offers you a day full of western flair and fun. For a little bit of culture, Schierke is the perfect starting point for a tour to the most romantic historic buildings and the street of romantic monuments. … a train that will take you to the most beautiful landscapes of the Harz mountains. The trains of the Harzer Schmalspurbahn are famous for their historic wagons and for their rail network of about 131,24 km. Get in and enjoy the ride – a must for families. Starting points: Wernigerode, Gernrode and Nordhausen (feel free to ask our staff for more information). … is the highest of the Harz mountains and surrounded by myths and legends. Especially its wild nature and clear view on the mountain region from the top is a must-see for tourists. … is a colourful city, situated at the foot of the Harz mountains. Its castle and medieval atmosphere make you feel taken back in time when knights and kings lived here. Take a ride in one of Wernigerodes horse-drawn carriages. … is another beautiful city at the foot of the Harz mountains. From here, you can enter the Bodetal, a valley for you to explore. Medieval architecture, an impressive castle and impressive gardens, and a lot of cultural offerings – that’s Blankenburg. Hike through the picturesque Harz mountains, climb on a “devil’s wall” and enjoy life. Rübeland is situated approx. 20 min. from Schierke. It is known for its stalactite caves and just 10 minutes from Rübeland you can visit the show mine Büchenberg. An emperor city with a historic core and UNESCO World Heritage Rammelsberg, a former ore mine. Goslar is over 1000 years old and situated near the Harz national park. With about 1200 timbered houses and a many castles, Quedlinburg was added to the list of the UNESCO World Heritage. Enjoy a walk through a typically German town. 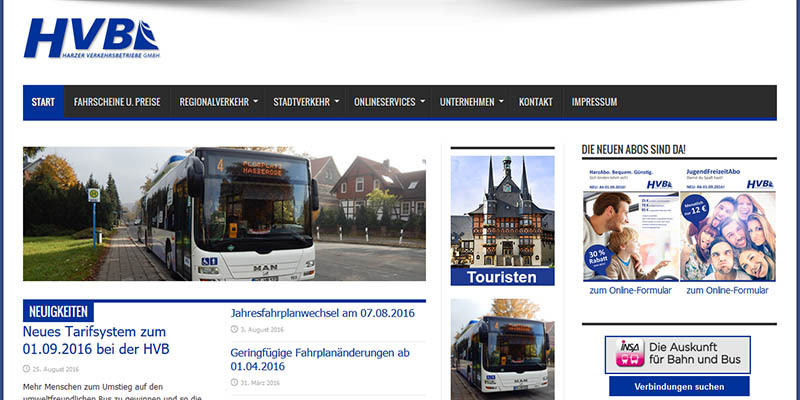 All information about tickets, special offers or other tickets can be found on the website of Harzer Verkehrsbetriebe (HVB). The dam Wendefurth offers not only the beautiful view but also the possibilities for a little adrenaline rush. 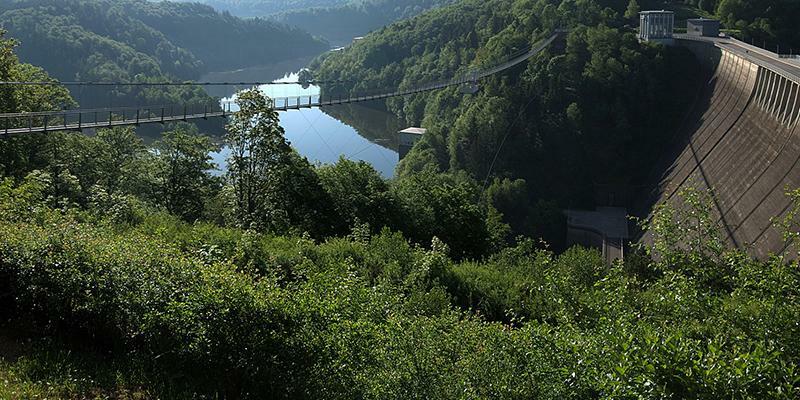 With Harzdrenalin you have the possibilities for wallrunning, ziplining or you go over Europe’s longest suspension bridge, the TITAN RT.